OSHA’s Report on Adventureland Death – …………. ''AND LET THE FUN BEGIN''…………….. The other day we seen the OSHA Report on the death of an Adventureland worker last June. If you remember, he was an Assist on the Raging River. Their are 2 Assists and one Operator on this ride. It is a water raft ride that is run by conveyors at the beginning and end to bring the raft out of the water to load and unload. The conveyers are 10 ft. below from what I heard. Their is a series of six different conveyors and buttons the operator has to work. Each button is pushed manually when needed to move the rafts by conveyer up to the unload and load position. The operator is sitting above to have a view of the ride, and the assists. The Assists unload and load each raft. When they are done and have all riders in the raft and back in their positions, they give a thumbs up to the Operator. Their are no safety switches or interlocking devices to secure the ride. So when the accident happened, the raft prematurely lurched, and pushed the two Assists over. One was caught by a bystander, the other was Steve Booher. He fell the 10 feet to the conveyors and injured his head and arms. Unfortunately, he never regained consciousness and died the following Sat. We were never told about the accident, nor told when he passed away. It was all found out by articles in the Des Moines Register. I did witness the EMTS rushing him out or I wouldn’t have known either. This man was a 68 year old retired postal employee form Oklahoma. Steve and his wife came to Adventureland to enjoy their summer working in the park. He only worked 1 week. So much speculation has been made since then as to who was at fault. Was it the Operator? Was it the Park? Was it the training procedures? I believe it was a little bit of everything. First of all, I don’t think from what I’ve witness as a whole, their training process is very good at all. Secondly, with all of these conveyors and buttons and an open conveyor 10 feet below, why would you depend on the 2 Assists to just give you a thumbs up to continue? That is all that is done on a number of rides. Some have an interlocking system that all parties have to push a switch to allow the ride to continue. Many of them rely on simply a thumbs up from both Assists. Now if you have 6 sets of conveyors to operate, isn’t it understandable an accident can happen? We can all get careless sometimes. It is an article by the Des Moines Register about the Citation. Federal regulators allege that Adventureland park broke Iowa law by failing to create a safe work environment for the 68-year-old man who died from injuries he sustained while working on the Raging River ride in June. Iowa’s Occupational Safety and Health Administration fined the theme park $4,500 this month in the death of Steve Booher. The Altoona amusement park has 15 days to contest the agency’s findings. “We’re talking about the loss of life,” said Tim Overlin, Booher’s nephew who lives in Des Moines. The Raging River sends riders through rapids on large circular rafts. Booher was working at the ride June 7, helping riders get out of the rafts when the conveyor belt carrying the rafts began to move forward. The movement caused him to fall from the loading platform onto the conveyor belt. Booher injured his head and arms and was on life support at a Des Moines hospital for several days. He died June 11. Jens Nissen, Iowa OSHA administrator, said the $4,500 fine was the maximum his agency could assess Adventureland for this type of violation. OSHA found no evidence that the theme park willfully violated worker safety protocols, which would have prompted a larger fine. The ride is operated by a worker in a control tower above the platform. The disconnect between the operator and the workers below is the primary issue inspectors identified. Iowa OSHA found that Adventureland should implement engineering controls that would prevent the conveyor belt from moving rafts while workers are still loading and unloading passengers. That could include interlocked sensor devices or interlocked buttons “to ensure that ride assistants are positioned in a safe location before the boats are allowed to be advanced by the ride operator,” according to the agency’s citation. Molly Vincent, a spokesperson for Adventureland, declined to answer any questions about the OSHA fine or the changes recommended by the agency. Overlin said the ride should have automatic controls that stop it if a worker is in the path of the rafts. He also questioned the amusement park’s training requirements. Booher had worked at Adventureland for six days. 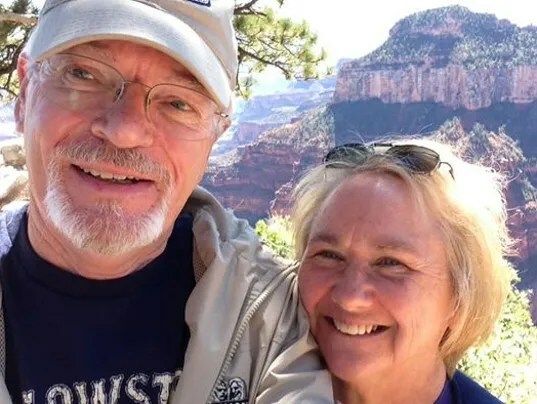 He and his wife were retirees from Oklahoma who planned to spend the summer living in their RV and working at the park. The day he fell was the first he had worked on the Raging River ride. The Raging River reopened the day after Booher’s incident. A search of OSHA’s federal database found no previous violations for Adventureland. Nationwide, 10 workers were killed on the job at amusement parks between 2011 and 2014, the most recent years for which OSHA fatality data is available. Amusement park rides, including the Raging River, are inspected annually by the Iowa Division of Labor. The Raging River was inspected on April 28 and then again on June 8, following Booher’s fall. Both inspections determined that the ride was operating as designed, said James Bowry, manager of the division’s elevator, boiler and amusement ride bureau. The ride will be inspected again after the park implements changes recommended by OSHA, he said. It is operating currently, the division said. This just doesn’t seem life much money for a fine. It is just a small amount to them. Their was a number of accidents this year at different parks, since this one. The parks went on total shut down after for a day or two. They made national headlines. Not here. The ride shut down for a day, and reopened. Most of the people in the park never even know the accident happened. We had to read it in the paper. The park owners never acknowledge Steve and his wife. Many people wanted to reach out to his wife and family. That was never made possible. I do on one hand do think they are trying very hard to make this a wonderful family park. The parents have now passed and the 4 adult siblings are the owners and driving force for the park. They do walk the park every day. They are very hands on. They are investing money in new rides, and beautiful landscaping. But on the other hand, many of us feel like numbers. If you stop them to talk, they are friendly, but that is the end. When they walk by you the next day, they don’t recognize or see you. Sometimes you get a wave, but seldom. We feel like a Number but yet they say they think so highly about us Workampers involved in the Workamper Program. But I guess that is alright, its their park. I just wish they would put some of that money into updating the safety features of the old rides. Most of the training is done in 10 to 15 minutes. Do you really think this is enough training when you are loading adults and children and are responsible for their safety? They need to review their safety program. See what improvements can be done. There was two accidents on that ride last year. The operator move the ride too early. There is not enough training. I worked there for 3 year. When I was the operator of the raging river, I would step away for the controls. When I got thumbs up and new they were off the ride. Then I would step back to the controls. Yes the safety should be updated. Are we now “the disposable generation?”. When does it become cheaper to pay the fine than implement changes? Now social security will only pay out one check instead of two… Shocking! And extremely sad…. Soon after this, some ride engineers was see in the park. Apparently they weren’t Adventureland employees, so it sounds like the park had already gone to work on updating the ride control system. Unless it was a coincidence. Very interesting and informative blog. Makes one wonder about going to amosement parks. Even Disney lately has had some problems. Thanks for the info.